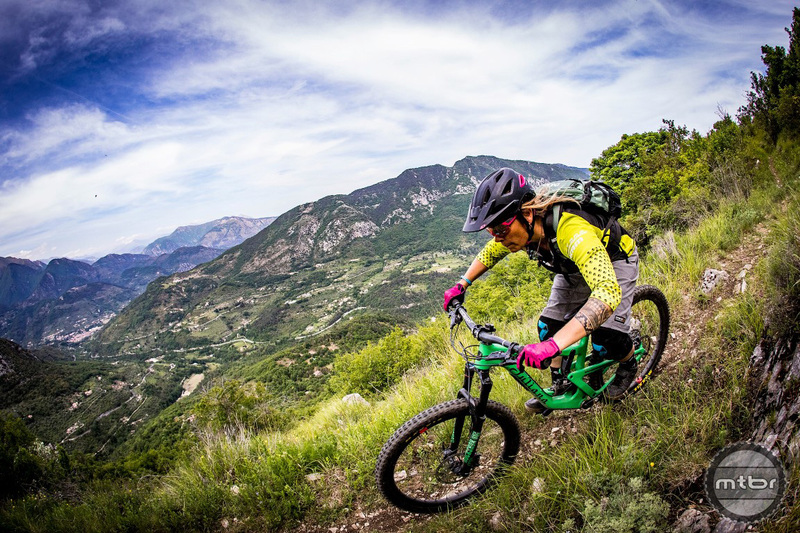 With 170mm of travel front and rear and ultra-aggressive geometry, the Strega is unlike any other women’s mountain bike. Witches have a long history of being misunderstood. Sought after for their curative powers, they were persecuted and scapegoated for millennia. These individuals did not always engage in the occult, they were merely women who struck others as different. Many were healers, others were self sufficient. But whatever the reason, they existed on the fringes of society. There’s no crown on the head tube for a reason. The Strega ain’t no princess. Flash forward to present time and Juliana Bikes is launching a bike that exemplifies these attributes. It is a bike without parallel on the women’s market and it’s been christened the Strega. The name translates from Italian to witch — and we’re not talking the sweet fairy kind. The Strega is available in three sizes. The new XS should fit riders around 4’8” and up. 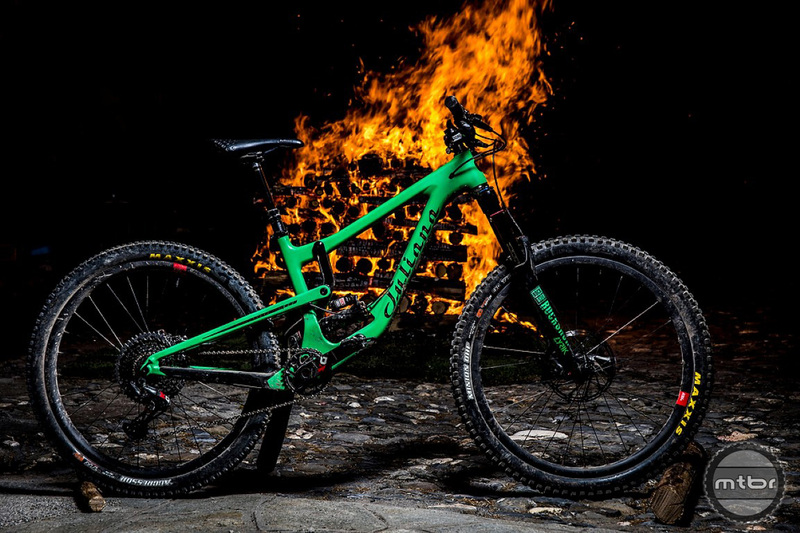 This wicked ride has 27.5 wheels, 170mm of travel front and rear, and is paired with a 65-degree head tube angle and suspension layout borrowed from the winningest downhill bike in history. 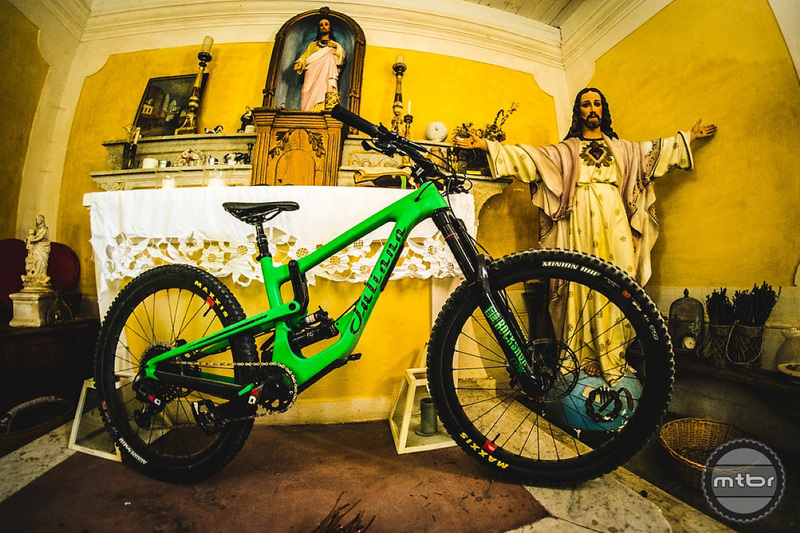 By any other name, you might call this a Santa Cruz Nomad. 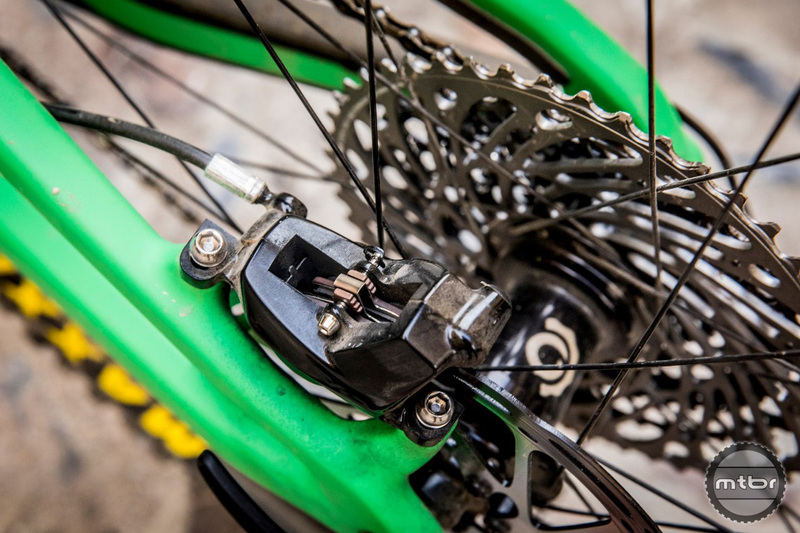 However, names have power, and with the Juliana name you receive a custom tuned shock, different contact points (grips and saddle), and chainring size. Aside from those differences (and the amazing paint scheme), the bike ships with the same spec as the unisex model. The Strega seeks redemption by decimating rocks. 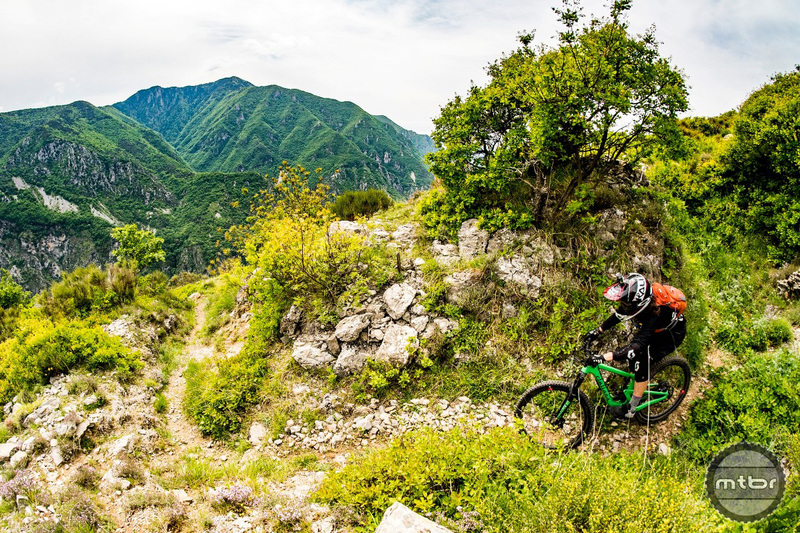 To highlight what it’s capable of, Juliana transported Mtbr and a host of other journalists to the medieval village of Trioria in Northern Italy. Nestled deep in the Maritime Alps, this was one of the last places in Europe where women were persecuted as witches. The trails outside of Trioria are rough. They’re covered in awkward rocks, loose rocks, and unavoidable rocks. 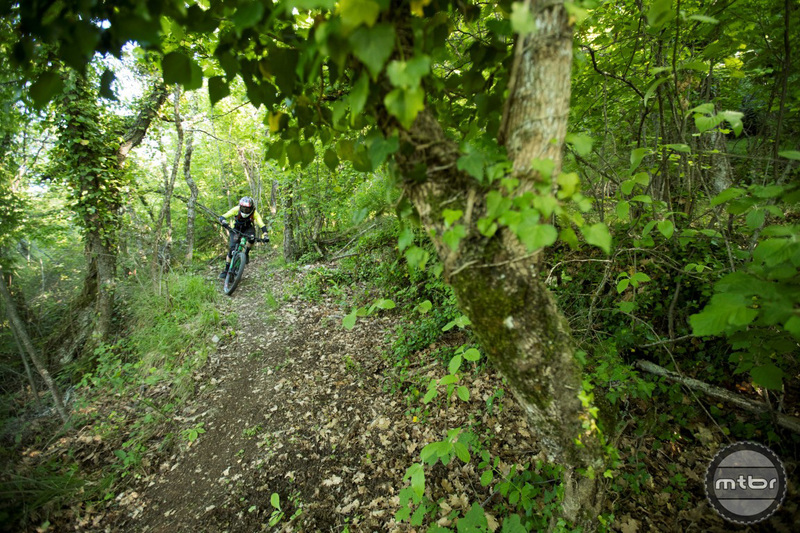 Today, the region has become a destination for mountain bikers seeking to push their limits. The rough trails in the surrounding area are cut into steep slopes and littered with all manner of rocks. It’s an intimidating place to ride. 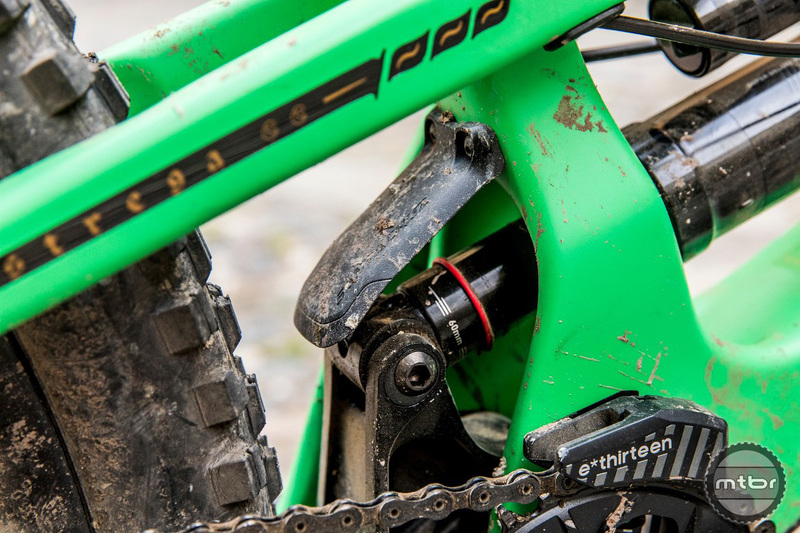 The suspension configuration on this bike closely parallels the VPP system found on the Santa Cruz V10. It delivers a linear suspension feel that ramps up progressively to smooth out big hits. With its seemingly endless travel and confidence inspiring geometry, the Strega made short work of even the gnarliest obstacles. It’s a bike that begs you to let go of the brakes and commit. In return, it accelerates like a demon, leveling anything it’s in path. 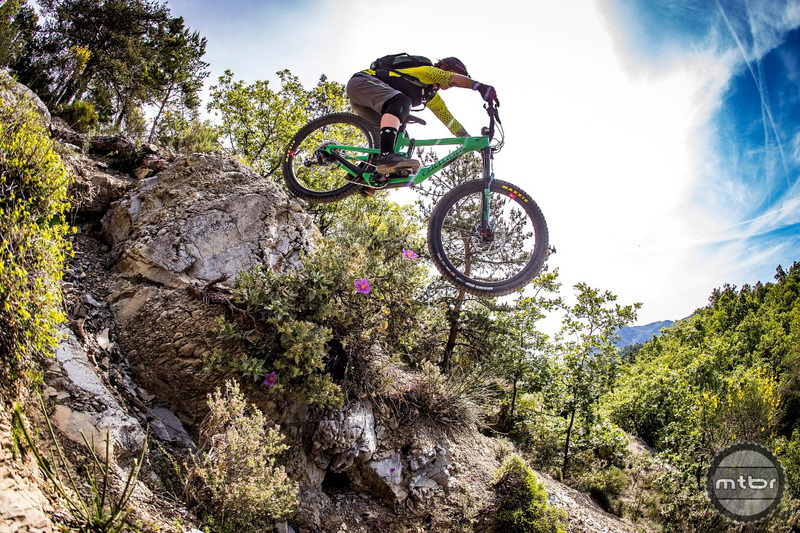 While the bike delivers downhill levels of performance, it remains nimble enough to send the unknown. And If you’re the type who prefer to look before you leap, there’s plenty of top tube clearance. 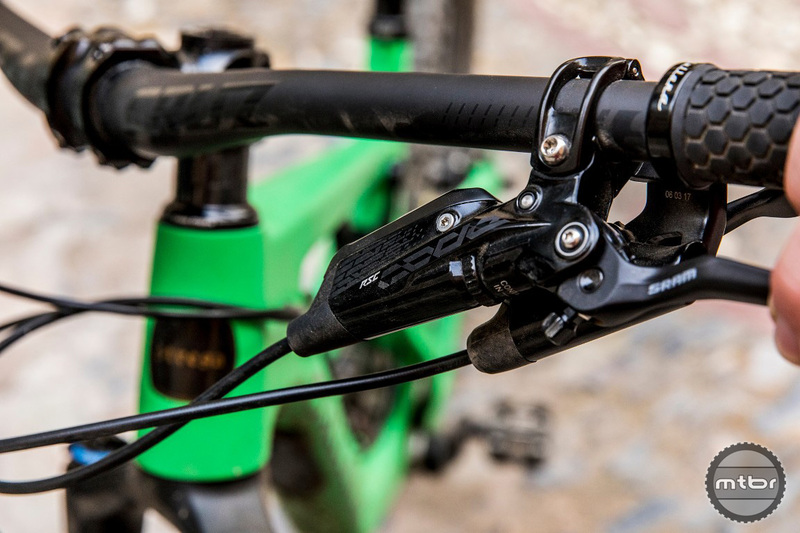 Pointed uphill the Strega pedals better than any bike with 170mm of travel should. 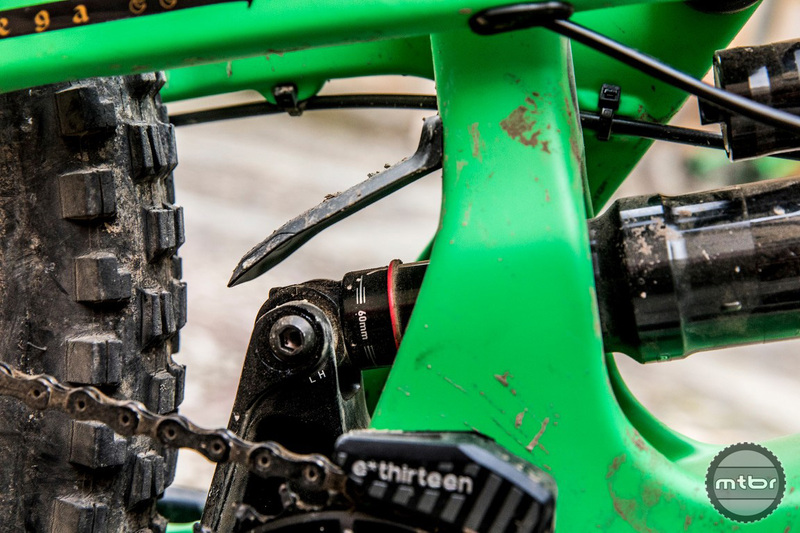 Unless you find yourself on a brutal fire road climb, there’s no reason to reach down and flip the climb switch. 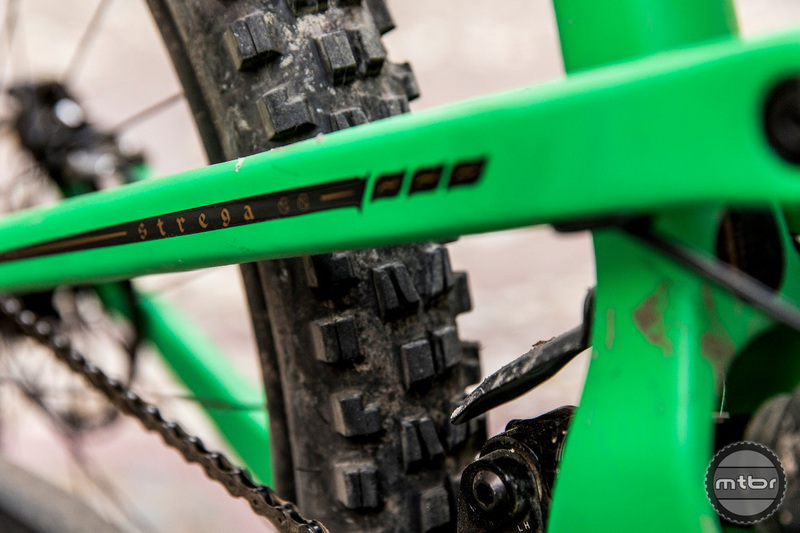 The slack front end has a tendency to wander on steeps, but that’s to be expected of any bike in this category. So what will this special witches brew run you? Prices start at $4500 for a complete build with a carbon frame. Juliana also offers higher end models that top out around $9000 and are decked out with the best components money can buy. 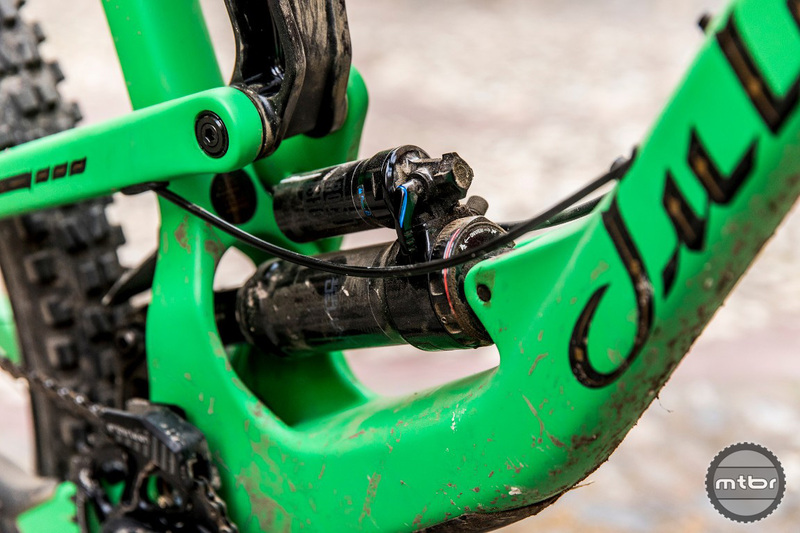 As a brand, Juliana has come a long way from offering tiny grips, triples, and girly colors. The new Strega hasn’t been dumbed down in any capacity for the women’s market. 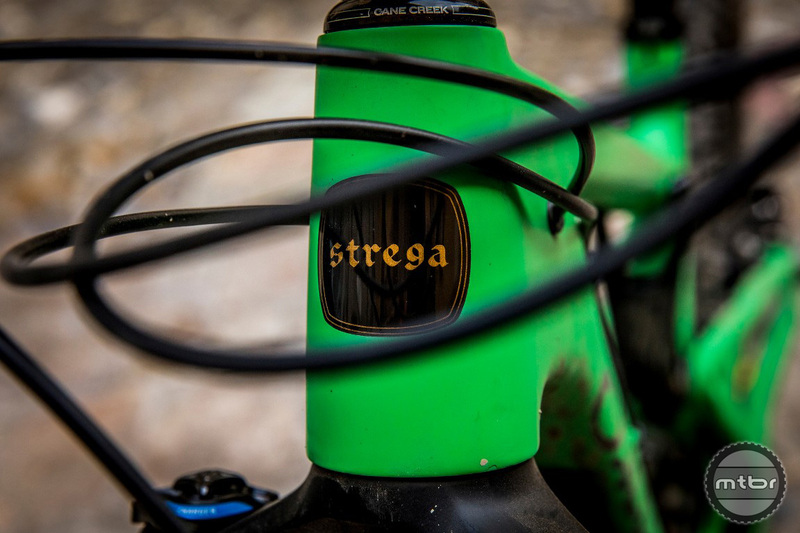 While most riders will likely find the 150mm travel Roubion better suited for all around pursuits, the Strega offers those who dare a bike capable of tackling virtually any terrain imaginable. For more info, visit www.julianabicycles.com. With 170 of travel front and rear and ultra aggressive geometry, the Strega is unlike anything else in the women’s market. There’s no crown on the head tube for a reason, the Strega ain’t no princess. The Strega is available in three different sizes. 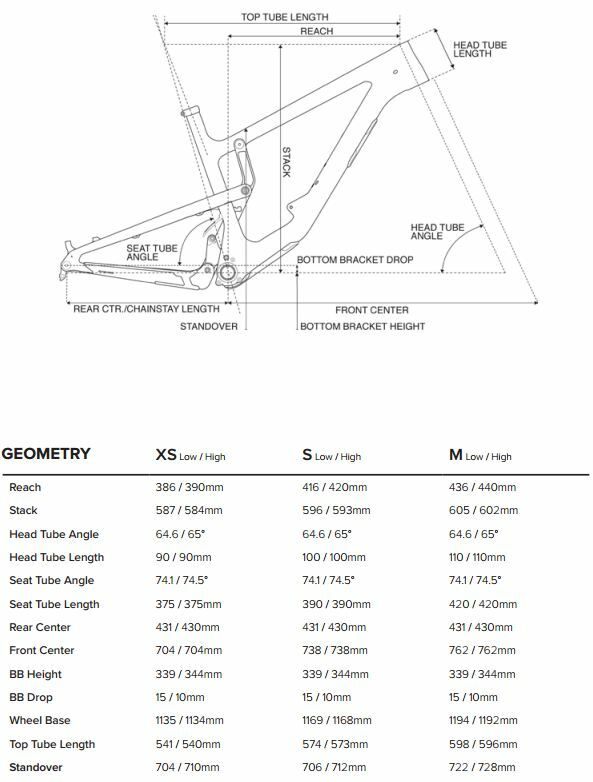 The new XS should fit riders around 4’8” and up.